If you missed #34 click here. Best Moment: The fatalities are as brutal as anything Mortal Kombat provided. Also, 4-player mode is just chaotic! 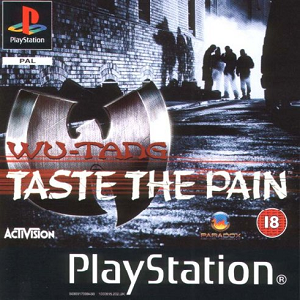 This game (which is called "Wu-Tang Shaolin Style" in America) had very mixed reactions when it came out. Some people said it was actually very innovative, doing 4-player fighting well before anything like Super Smash Bros was created. 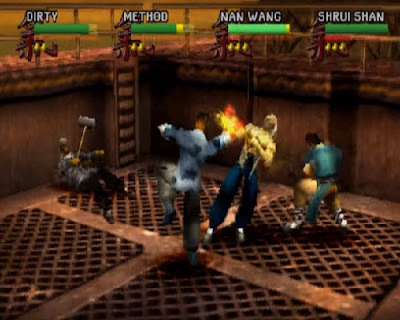 But others thought the fight mechanics were clunky or that it was simply a Mortal Kombat ripoff. I understand both sides of the story but I'm very much in favour that this game was actually very good. I was never a big Wu-Tang fan to be honest. I like "Gravel Pit" when it came out a few years later, but other than "Rumble", which is actually the main theme in this game, I can give or take the Wu-Tang clan musically. But this game was really good. It was TOUGH though. The difficulty curve really is uphill on this game, and finishing the game is incredibly difficult too, because you have to collect the "36 chambers", and you can't take on the final boss until you collect the first 35. I never did collect them all, but I did get all the way through the game, although it took a LOT of playing. The fatalities were brutal, in a good way, and the music was really good, as you'd expect from a very well respected rap group. Seriously, check this game out if you had never heard it before, it's a very decent fighting game. It's definitely an 18+ game though! Find out what came in at #32 by clicking here!